A new phrase is beginning to appear in aviation, "fitness for duty." This encompasses physiological aspects of a pilot's body like fatigue, illness and influence of drugs as well as attitudes and performance not associated with fatigue. Pilot skills are important but data shows accidents begin in your head, and the right mindset and attitude are a key part of aviation safety. In 2014 a corporate Gulfstream GIV tried to take off from Bedford, Massachusetts with the gust locks engaged. Seven people died in that accident. In 2010 an Air India Express Boeing 737’s captain slept throughout most of the flight.1 Awakening just before landing, he was unable to keep the airplane on the runway and 158 lives were lost. There have been so many initiatives to enhance aviation safety and, yet, things like these accidents are still happening. What gives? Flight safety is not just a mechanical, tactile, procedural and practiced process. Flying begins in your head. Doing a clearing turn by rote without also scanning for traffic is a wasted opportunity to prevent an accident. Why wouldn’t you actually be “clearing” when doing a clearing turn? Are you lazy? Do you think it’s just a silly custom? Why would you skip over a checklist item like removing the gust lock? Aren’t there subsequent ways for this omission to be discovered? How about, “FLIGHT CONTROLS – FREE & CORRECT” on the checklist? The corporate crew in Bedford missed that one, too. Was the Air India Express first officer so cowed by authority that the captain couldn’t be disturbed until touchdown? How thoroughly was that checklist completed? A new phrase is beginning to appear in aviation, “fitness for duty”. Fitness for duty encompasses physiological aspects of a pilot’s body like fatigue, illness, and influence of drugs as well as attitudes and performance not associated with fatigue. Let’s talk about drug testing first. Have you been drug tested? I have many times, even when it’s a pop-up quiz and I haven’t studied for it. I remember as far back as 20 years ago when an airline colleague of mine was removed from flying status because a random drug test revealed opiates in his blood. I knew this captain very well, and he was as straight an arrow and as no-nonsense as they came. The idea of his doing drugs was laughable. They called him in the middle of the night while he was on a trip and told him he was removed from the next morning’s departure and had to be retested and, if he passed, would be reinstated. On the next screening test, he passed as, anyone who knew him, knew he would. Was he “doing heroine?” Was he even using any prescription drug? No. The only thing he consumed prior to the drug test was a poppy-seed muffin. Bingo! He was guilty of “doing pastries” and clearly violated the tenet of “Just Say No” to a free hotel breakfast buffet. Obviously, this all came out after the second, more sophisticated test and his problems were over. But it does illustrate what can happen and create anxiety even when you’re innocent. But there is no doubt the effects of drugs can impair a pilot’s abilities, judgment and reaction time. Even popular cold remedies like Benedryl are considered dangerous for use by pilots. Since 1990, pilots testing positive for controlled substances (the stuff you buy from a guy named “Snake” who meets you in the alley behind the 7-Eleven) has increased 5%.2 It’s pretty amazing that any pilot would be stupid enough to get involved with controlled substances let alone that the drug test positives are on the increase. Maybe…hopefully…it’s just that pilots are eating more poppy seed muffins these days. Maybe this is just us wringing our hands and making too much out of nothing because the US population itself increased 13% from only 1990 to 20003; so wouldn’t everything, including drug test data rise proportionally? But the bigger concern isn’t the increase, it is that it exists at all. A bigger problem, according to the ICAO, are drug test positives from the use of legal pharmaceuticals by pilots that were responsible for an impaired condition. This is an increase, from 1990 to 2012, of 8%. The problem isn’t the drugs…it’s the judgment of pilots using them and then strapping themselves into the seat of an airplane to fly. Let’s go back to our Gulfstream accident in Bedford, Massachusetts. The NTSB revealed that non-compliance with checklists and a longtime pairing of crewmembers lead to a “normalization of deviance” and set up the chain reaction of events resulting in the crash.4 The Bedford accident did not occur from pilot fatigue, illness or drug impairment. It occurred because pilots allowed themselves to be undisciplined with regard to procedures and a relaxed, casual atmosphere that precluded procedures cross-checking and enabling omissions to be ignored. Paul Ransbury, president of Aviation Performance Solutions takes it one step further. He advocates the use of actual aircraft for upset and unusual attitude training instead of simulators. He says pilots should be exposed to the “psycho-physiological” stimuli to overcome natural reactions which are lacking in a simulator environment. Ransbury’s theory shoots holes in traditional unusual attitude training. Most simulator training and check rides I have done have amounted to the pilot closing his/her eyes while the sim instructor puts the machine in an unusual attitude, then commands to pilot to open their eyes.6 Occasionally an especially sharp sim instructor will introduce unusual attitude recovery by programming a severe encounter with a previous departing aircraft’s wingtip vortices or wake turbulence right after lift off. Other than humility and a renewed respect for avoiding another aircraft’s wake turbulence, little seems to be accomplished. But maybe re-instilling the seriousness of what vortices can do is accomplishment enough. So how does one develop an aviation safety centered mindset? For starters, it comes from an attitude that when you’re a pilot, you’re playing for “keeps”. You cannot permit casual decision-making to be at the core of choices and judgments. If you have the respect for the high stakes that exist from your decisions, you will naturally take things more seriously and weigh the consequences more carefully. Checklists are not “do” lists; they’re a tool to help pilots verify that everything that should be done, is done. Nor is the use of checklists an indication of being a wimp. On a cockpit voice recorder the “%&#!” expletive usually follows the discovery of an omitted item. I’ve attended hearings after incidents and accidents. And indeed, when things have deteriorated to the level that a hearing is involved, that’s when you see pilots turn into wimps. Imagine that there’s a camera recording everything you do in the cockpit (which there is in many large transport aircraft) and that will be reviewed later on. If something bad happens, would you be happy with your “performance” being watched by investigators, a jury or even a national TV audience? Just as a person’s true character is revealed when there’s no one around to see how they behave in private, a pilot’s true character is revealed in the same way. 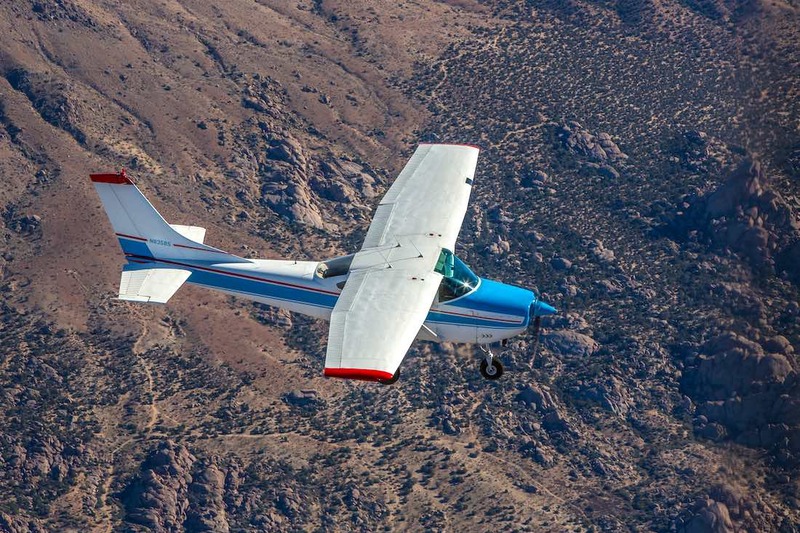 Is Flying Small Aircraft Safe? Treat every moment of every flight seriously, because it is serious business. Very serious business. 2 – ICAO figures – Aviation International News, June 2016. 5 – “Effective Improvement of Pilot-airplane State Awareness,” Paul Ransbury, address to Business Aviation Safety Summit, Flight Safety Foundation – Austin, Texas, May 5, 2016. 6 – I love to do unusual attitude training in an actual airplane. My technique is to ask the students to close their eyes. I then gently maneuver the airplane in a series of climbs, dives, and turns while increasing and decreasing the power levers/throttles. (This is all done gently so as not to induce air sickness. Because if I make a student sick, the training is counterproductive and likely precludes the student from learning anything else during the rest of the training session.) When I invite the students to open their eyes and assume control of the aircraft, they are expecting the worst. In reality, the airplane is in straight-and-level flight and a stable airspeed. Surprise! It’s amazing how many will start pumping on the yoke to correct for something that requires no control input.